The village of Belmez lies approximately 70Km northwest of Cordaba city, with a castle dating from the 13th century on a very prominent outcrop of rock. The surrounding area is agricultural, growing mostly cereal crops, with some barren land and olive trees. 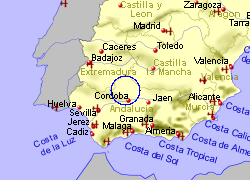 The 8Km long Embalse de Sierra de Boyera lies just over 1Km to the west. 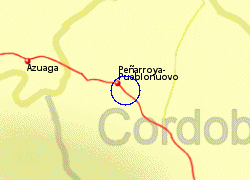 The village has a selection of shops, banks, and bars, while the larger town of Peñarroya-Pueblonuevo lies approximately 6Km to the north west. 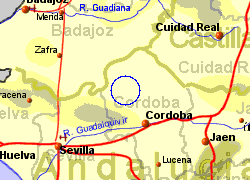 Map of the Belmez area.